A child's classroom can be a busy, hectic and disorganized place. Toys and games can become mixed with learning materials, textbooks and items brought from home. Teachers looking to bring some order and organization to their classroom may do well by considering room dividers as an option. No matter what size the room is these classroom room dividers provide a durable way to separate the space into smaller areas for individual uses all while providing a way to keep everything monitored through the use of window spaces. Classroom room dividers are great for larger class spaces where children are often working on different activities at the same time. For instance, in a large class some kids may be playing with toys while others are reading quietly and still others are working together on an arts project. With room dividers a single classroom can be split into sections semi-shut off from each other. Each group of children can accomplish their task in each of these sections without noise and materials mixing with the others quite so much. The school room dividers don't create a permanent wall but instead use wooden shelving and half-sized walls to create partitions that teachers can still see over. It's a way to organize the chaos. This is especially helpful for younger children such as preschool classes. These classes are typically filled with various toys and games and activities. In a large space things can get mixed together and out of hand quickly. Preschool room dividers keep kids focused on their specific activity and free of distraction from other groups. 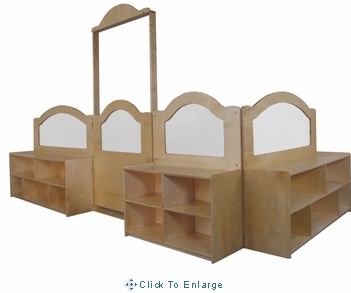 In addition most preschool room dividers feature cabinets and shelving for storage. Kids can use these for backpacks, lunches or toys brought from home and teachers can use them to better organize and find games and learning materials. School room dividers can provide teachers invaluable organization and student-management solutions in the event of a large disorganized classroom. Keeping groups of students on task is a tough undertaking. Using room dividers to split a large space into smaller ones to prevent distraction is a great way to avoid the conflicts while providing the added benefit of extra storage space. And since the dividers come in attractive and durable wood there is no worry that they'll look bad in a classroom setting. Plus the dividers aren't permanent so they can be moved around as a teacher sees fit to change the usability of the classroom to suit whatever needs the lesson class for. One of the most exciting things about having a new baby girl is planning the room decor. A princess themed room is a favorite among girls and parents. Every little girl should be born into royalty. Princess room decor can make her feel like she was destined to be a real-life princess. From matching furniture to paint schemes, kids rooms can be fun to create. It's easy to bring a room to life when using a princess themed room. Bright purples, pinks, and gold accents will tie everything together to create the perfect nursery and playtime room combined. Every little girl wants to be a princess. Why not make her dream come true? Matching furniture can make the room look cohesive and bright. A bed, toy box, jewelry box and even dresser can all make a difference in the way the room looks. Choose one company that offers princess room decor and stick with their color scheme. A mismatched room can make the room appear messy and unorganized. If the options with one company are limited, try to color-match. Although the little princess won't mind the color-matching, it will help uniformity within the room. Kids rooms are the most exciting rooms in the house to create. They require imagination and innovation. Baby girl themed rooms should be full of life and character in every aspect. Functionality must also be a factor within the space or time constraints, especially with paint schemes. A princess themed room would be perfect with a castle mural. Not only will a mural bring the whole room together, it will make her feel like she's true royalty. It can be planned and executed with a simple how-to list and some paint colors. Over-sized vinyl wall stickers can serve as a great alternative if there is an inability to paint. They are inexpensive and don't ruin walls. There are so many ways to make baby girl themed rooms into something majestic and spectacular. From the paint to the furniture, it can provide function and fun all in one! Every little princess will enjoy having tea with her friends, sleeping in a bed made only for a princess, and living in her own little castle. They even make princess potty chairs for royalty. Not only will it help in potty training your little princess, she'll be happy to get on the throne! The princess theme will leave your princess with hours of playtime fun for her and her friends. Toys made from wire and beads are some of the oldest, most traditional types of products for children. They appeal to children of many ages. Babies just starting to sit up use them to develop motor skills and coordination. 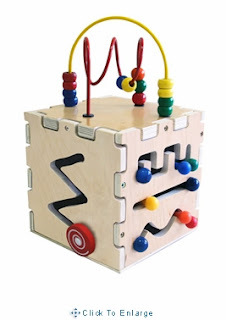 Toddlers and young children learn simple engineering concepts and discover the laws of physics by pushing beads through the curves and bends of the mazes. Public businesses, such as hair salons and libraries, tend to keep wire bead roller coaster toys to entertain young children visiting with their parents. Schools and daycares also have a tendency to keep these simple, yet effective educational toys. Babies who have just learned to sit up are able to discover new things with their hands, no longer needing to use them to support themselves. Stimulating, colorful roller coaster toys seem to attract their attention automatically. They might not consciously try to push the beads through the maze; they just move pieces around until something happens. Round, sturdy wooden beads are perfect for helping babies learn to grasp small objects. They can develop a stronger grip and learn to predict the outcomes of their actions when they move the pieces. These toys help children develop a sense of cause and effect. Rolling the beads into each other, going over hills and through loops, and exploring mazes all help children understand how objects move. While they play with these toys for hours, they begin to understand more about the world around them. They don't even know they are learning. Many children's toys these days are full of flashing lights and sounds. Modern toys talk, dance, and flash their ways to the tops of the shelves. However, it is important for children to understand the value of using their imagination, rather than relying on special effects to entertain them. Vivid colors attract children like moths to a flame. As they turn each corner and bend, they can use their imagination. The beads can be rocket-ships, train cars, or even trucks on a highway. As a part of classroom or home activity, children develop social skills while sharing educational toys with their peers. Wire bead toys are made for sharing and creating new worlds and possibilities out of just a few painted pieces of wood. Children’s play rugs can be used in many different settings. The play rugs come in many different sizes and will entertain children for hours. For the home they can be in a family room, set up in the living room or in the child’s room as a piece of the everyday décor. Where ever you stretch out a kids rug, you will find them playing and learning at the same time. Play rugs come in squares, round and rectangular. The rugs are made of 100 percent nylon for durability and come in bright colors. Nylon is very easy to keep clean. Every rug has been stain guarded for easy clean up. Use a damp cloth on the spills and everything should come right up. They are also easy to vacuum. 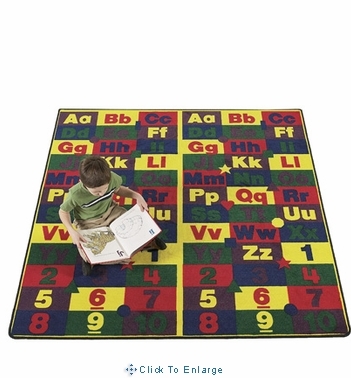 The rugs are educational, full of games, or designed for certain play time activities. The carpet surfaces are designed with backgammon, checkers, Parcheesi, hopscotch and many other games that adults can also join in on and play. Any of the kids’ rugs that have games on them that need playing pieces will have all the needed items in order to play the games. Other rugs will have the numbers from 1-10 on them and the alphabet for the early learning ages of children. Children will learn color recognition, their numbers and letters, and visual distinction as well as some phonic rules and math facts. The rug kit comes with flash cards, a spinning board, four oversized bean bags and ten numbers. The instruction book will teach the children all the games to play on these rugs. Children’s play rugs can also teach children about life around them and how to respect other people’s property. The town rugs has roadways, train tracks, buildings, traffic signals, a fire station, hospital, a library and all the instructions on how a town operates. Children will lean to share and take turns on the roadways and the rules of the town. Outside fun can also be done using children’s play rugs. You can set up the hopscotch rug out on the driveway for hours of active fun. The rug comes with three bean bags and colorful designs on all the squares. After the children are done, you just roll it up and store it away for the next time. Noah’s Ark is also another favorite kid’s rug designed with the alphabet around the edges in bright beautiful colors in both upper and lower case letters. Kids can join Noah and all his animals on the Ark. You can also get special rugs that will help you teach a child sign language. This is a round rug with all the hand signs for teaching the deaf. Teachers find this a helpful tool that holds the children’s interest in learning sign language. Students can interact with the teacher and with each other. Great for the home where one child is deaf and the other family members want to learn sign language. Kid’s rugs are also great for doctor’s offices where the children can play while waiting for the doctor. The kids’ rugs come in many different activities and can be permanently place down by using a firm lock material for safety. Whether you have children of your own or if you manage your own daycare center, keeping kids busy throughout the day can be challenging work, but it is possible with kid’s toys such as pretend play toys including wooden play sets and even children’s play kitchens. Play sets allow children to use their own imagination when interacting with others and when creating and thinking up new and original scenarios and situations. When children use various types of play sets, it can also help with problem solving skills as well as improving communication with other children simultaneously. When you are seeking new pretend play toys to purchase, you can do so by first determining the type of sets you want to purchase. There are both indoor and outdoor play sets available including wooden play sets that include slides, monkey bars, and various height platforms as a jungle gym that are often used in outdoor settings. Indoor play sets range from play food sets to using toy cars, dolls, and other action figures in a variety of settings from restaurants, pool parties, or even "dollhouses" as well. If you are interested in shopping for children’s play kitchens, you can do so by purchasing miniature and fake refrigerators and stoves in addition to pots, pans, and other utensils for the pretend kitchen. Pretend play food is also available to use in the play kitchens, allowing your children to simulate actually cooking without the potential risk of a burn or harm in the real kitchen (especially for children who are very young or even toddlers). Play food sets are ideal if your child has an imagination and is interested in pretending to play "restaurant", or "hotel service" and enjoys coming up with their own creative ideas and uses for the toys and belongings they have to themselves. Other car play sets may include buildings and road-building tools and accessories which are useful when playing with toy cars and other pretend play vehicles. Using play sets not only helps with developing imagination but also helps with properly helping motor skills to develop for future use in daily life. You can shop for the play sets you are interested in by going to a local toy shop to compare what is available in stock. However, if you want more variety and options when choosing the type of play set you want to purchase, shop online. Using the Internet to find the play sets for your own children gives you more options and choices to select from while you are also able to view photos of all of the items in stock. 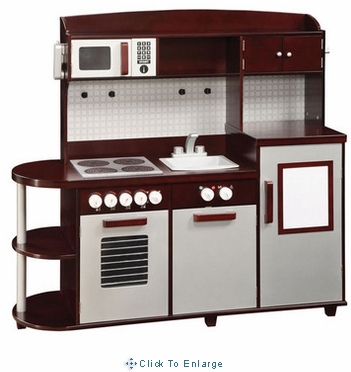 Additionally, when you browse and shop online for children’s play sets and various types of pretend play toys, you are also able to browse simply by entering in the price range you intend to shop within to stick to your own budget and to find the best deal possible from multiple retailers. If you are the parent of a child, you may want to decorate his or her room using a specific color scheme or theme depending on your child's own interests and preferences. When you are trying to think of new methods of storing your child's toys and belongings, you might be interested in personalized toy boxes. Personalized toy boxes allow you to add a name or a word and phrase to the outside of the toy box or chest you order so you can add more detail to your child's room. Adding your child's name to the box helps to teach him or her where their own belongings go when they are done playing with them or using their toys each day. If you want to look into customized toy boxes for your child, you can do so by checking online and using various local methods. If you are interested in getting a personalized toy chest for your child, you should first compare the options and choices you have available to choose from before you place your order. Many boxes that allow you to personalize them are wooden toy boxes, which make for a much easier time when engraving a name or a saying into the box itself. Personalized toy boxes are often available as wooden toy boxes but are also made of plastic materials, depending on where you want to order the boxes from and the type of customization you are seeking as well. Common wood colors and types available with a personalized toy chest includes honey oak, espresso, natural, or even an unfinished look if you plan to paint or stain the chest yourself once it arrives (to match a specific color or trim color in your child's room on your own). You can place customized toy chests for kids just about anywhere in your home if you do not want to place the chest in your child's room. Using the toy chest around the home or in the family room or designated "play room" is also an ideal option to keep your home organized and easy-to-clean at just about any time of the day, regardless of what your child is playing with at the time. Once you are ready to begin to shop for the customized toy boxes you are interested in, you can do so by utilizing multiple methods including shopping locally and also by shopping online. If you shop locally, you may be limited to the customization options you have, leaving you to shop for a pre-made toy chest with no customization. However, when you look online you have more options when it comes to customization, giving you the ability to easily find the toy chest that is perfect for your little one's room. Looking online for the toy chest that suits you also gives you a chance to view toy chests and their photos before you make a purchase to ensure the toy box will be ideal for your child and his or her own room. An infant changing station is an important piece of furniture to obtain when preparing for a new baby. Gone are the days when a baby changing table was simply an outfitted piano bench or end table. Infant changing stations are now available in many different styles. They also offer many different accessories and designs unavailable to previous generations. Do your research before selecting a baby changing table and you will be pleased with the results. First, understand that changing stations are no longer simply a functional tool for the nursery. Diaper tables are available in many different furniture designs and are crafted from many different materials. The best changing tables are designed to compliment other pieces of furniture in the nursery, such as a crib or dresser. Decide if you are simply looking for a functional changing station or an elegant piece of furniture for your baby’s room. Second, consider how you would like to arrange the material needed for your changing station. For example, some parents chose to cloth diaper their babies. Cloth diapers are available in many different colors and patterns. 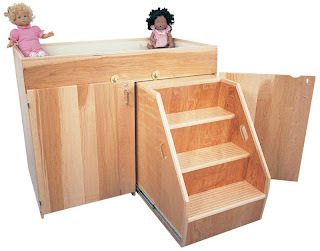 A changing station attached to a dresser with open shelves, for example, would provide an attractive place to store the clean cloth diapers. On the other hand, other changing stations offer numerous drawers to hide the necessities of changing your baby's diapers. These tables would be ideal for smaller rooms and higher traffic areas, such as a playroom or a parent’s bedroom. Third, be certain your diaper changing station is safe. Many changing tables are crafted with railings to prevent the baby from rolling off the table in the event the parent is not paying adequate attention. The changing station should also be at a height that is comfortable for you to change diapers effectively. If the diaper station is too high or too low, the unnecessary strain on a parent’s or grandparent’s muscles could make it easier for accidents to occur. A safety strap can be a good idea on a changing table. However, remember that the strap is not a substitute for holding the baby. Never take your hand off the baby when he or she is placed on the changing table. Finally, consider the potential longevity of your changing table. 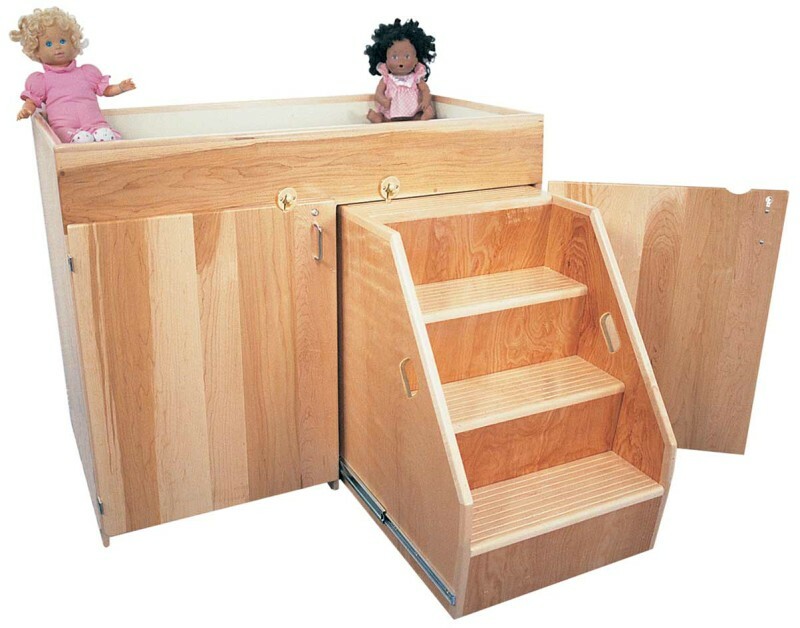 Many families purchase a changing table for their first child and utilize it for all of their future children. The changing table and other nursery furniture can become family heirlooms that are passed down from generation to generation. Selecting an appropriate changing table can be a choice that resonates through generations. On the other hand, many other diaper changing stations are simply for utility. For example, it is a good idea to have a changing table both upstairs and downstairs. One changing table can be secondary and does not need to be as fancy as the first. Obtaining a changing table can require a lot of thought. Only you can decide on the best changing table for you and your baby. Do you have a child that likes to: draw, paint, or any of the other artistic traits then maybe an easel would come in handy for them. 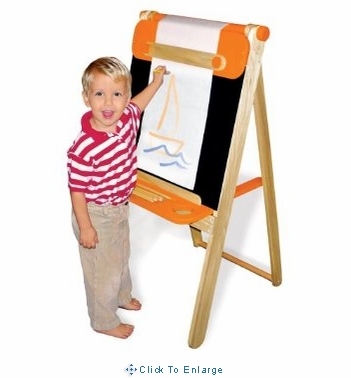 There are many different types of kid’s easels on the market for children, such as drawing easels and art easels. Depending on what they do will make a difference in the easel you purchase. If your child likes to draw then you would want to look at kids drawing easels. Many of these have two sides that can be used. Or if you prefer they do offer one sided kids drawing easels. There is a tray at the bottom of the drawing area to place markers, crayons, pencils, or whatever else they may be drawing with. Art easels are similar to the drawing easels except most of these have a tray at the bottom of the drawing board to hold paints, markers, the items they are using to draw with. You can also find easels that have compartments underneath for storage. Most kids easels fold up for easy storage and moving around. Kids easels are usually stand around 46” high and there are some on the market that is adjustable. This is handy as it saves buying a new easel in a few years. There are also many kids art tables on the market. 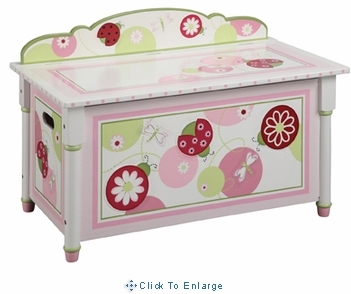 They are many different styles and sizes of kids art tables to choose from. Plastic art tables may be better for a younger child and a wood one for an older child. Most of these tables come with a bench or chair. Kids art tables can be used for any type of art project that a child is working on. From dough to paint, these tables will serve the purpose. Whether it is an easel, art table, or a drawing easel, the main thing to consider is the durability for lots of use and the right size for your child. Things to consider would be; is the table big enough for your child or is the easel tall enough, or is there enough room for all their supplies. Kids drawing easels, art tables, and kids easels would make a great gift for you little artist. Allow their talent to expand and let them be just like the pros. What artist would not love one of these wonderful items? Maybe Christmas or a birthday would be a great time to surprise your little artist. Do you have a child that likes to draw, paint, or any of the other artistic traits then maybe an easel would come in handy for them. There are many different types of kid’s easels on the market for children, such as drawing easels and art easels. Depending on what they do will make a difference in the easel you purchase. If your child likes to draw then you would want to look at kids drawing easels. Many of these have two sides that can be used. Or if you prefer they do offer one sided kids drawing easels. There is a tray at the bottom of the drawing area to place markers, crayons, pencils, or whatever else they may be drawing with. Art easels are similar to the drawing easels except most of these have a tray at the bottom of the drawing board to hold paints, markers, the items they are using to draw with. You can also find easels that have compartments underneath for storage. Most kids easels fold up for easy storage and moving around. Kids easels are usually stand around 46” high and there are some on the market that is adjustable. This is handy as it saves buying a new easel in a few years. There are also many kids art tables on the market. They are many different styles and sizes of kids art tables to choose from. Plastic art tables may be better for a younger child and a wood one for an older child. Most of these tables come with a bench or chair. Kids art tables can be used for any type of art project that a child is working on. From dough to paint, these tables will serve the purpose. Whether it is an easel, art table, or a drawing easel, the main thing to consider is the durability for lots of use and the right size for your child. Things to consider would be; is the table big enough for your child or is the easel tall enough, or is there enough room for all their supplies. Kids drawing easels, art tables, and kids easels would make a great gift for you little artist. Allow their talent to expand and let them be just like the pros. What artist would not love one of these wonderful items? Maybe Christmas or a birthday would be a great time to surprise your little artist. title: Easels for Kids article: Do you have a child that likes to draw, paint, or any of the other artistic traits then maybe an easel would come in handy for them. There are many different types of kid’s easels on the market for children, such as drawing easels and art easels. Depending on what they do will make a difference in the easel you purchase. If your child likes to draw then you would want to look at kids drawing easels. Many of these have two sides that can be used. Or if you prefer they do offer one sided kids drawing easels. There is a tray at the bottom of the drawing area to place markers, crayons, pencils, or whatever else they may be drawing with. Art easels are similar to the drawing easels except most of these have a tray at the bottom of the drawing board to hold paints, markers, the items they are using to draw with. You can also find easels that have compartments underneath for storage. Most kids easels fold up for easy storage and moving around. Kids easels are usually stand around 46” high and there are some on the market that is adjustable. This is handy as it saves buying a new easel in a few years. There are also many kids art tables on the market. They are many different styles and sizes of kids art tables to choose from. Plastic art tables may be better for a younger child and a wood one for an older child. Most of these tables come with a bench or chair. Kids art tables can be used for any type of art project that a child is working on. From dough to paint, these tables will serve the purpose. Whether it is an easel, art table, or a drawing easel, the main thing to consider is the durability for lots of use and the right size for your child. Things to consider would be; is the table big enough for your child or is the easel tall enough, or is there enough room for all their supplies. Kids drawing easels, art tables, and kids easels would make a great gift for you little artist. Allow their talent to expand and let them be just like the pros. What artist would not love one of these wonderful items? Maybe Christmas or a birthday would be a great time to surprise your little artist.